Would you recognise the symptoms of Stroke and if you did, would you know what to do? Strokes are surprisingly common, but many people are not aware of this. In fact, it is the 4th biggest killer in the UK and according to Public Health England figures, over a third of first-time Strokes (38%) happen in middle-aged adults. According to the Stroke Association, Stroke occurs approximately 100,000 times a year in the UK; that’s a staggering figure of one every five minutes. So what is stroke? There are two main types of stroke: one caused by a blockage or clot (ischaemic stroke) blocking a blood vessel in the artery. The second is a bleed (haemorrhagic stroke) which occurs in or around the brain. In both cases, if the flow of blood to any part of the brain is interrupted, brain cells are deprived of oxygen and nutrients resulting in the death or damage of brain cells. So what are some of the signs you should look out for? Remember the useful acronym for spotting the signs of a Stroke: F.A.S.T This means Face-Arms-Speech-Time. Face: can the person smile? Is their face lopsided or one side of their face/eye drooping? Arms: can the person raise both arms and keep them held up? Speech: can the person speak clearly or is their speech slurred or garbled? Can they understand what you say? Time: If ANY of the above symptoms are visible then it’s time to call 999 and say that you believe the person is having a Stroke. If you think someone is having a Stroke, then don’t hesitate. Call an ambulance. It doesn’t matter if you are not 100% certain or if you don’t see all of the signs together. There is a critical 60 minute window of time, sometimes called the Golden Hour, from the onset of symptoms to the administering of appropriate drugs which should always be kept in mind. Therefore getting urgent medical assistance will give the person the best possible chance of recovery. Although Strokes are more common in older people, they can affect any age group. Older people are more susceptible because ageing causes the arteries to become thinner and harder. Men, including younger men are 25% more likely to have a Stroke than women. Add in smokers and heavy drinkers and those with high cholesterol levels and you already have a chunk of people who are more at risk. Being overweight and obese also increases your risk of Stroke. Other factors which can contribute to Stroke are high blood pressure, diabetes, or an irregular heartbeat, so if you suffer with any of these conditions it is important to see your doctor for regular check-ups. The importance of a healthy lifestyle – balanced diet, being active and taking regular exercise if you are able to do so are all factors which help reduce your likelihood of Stroke. 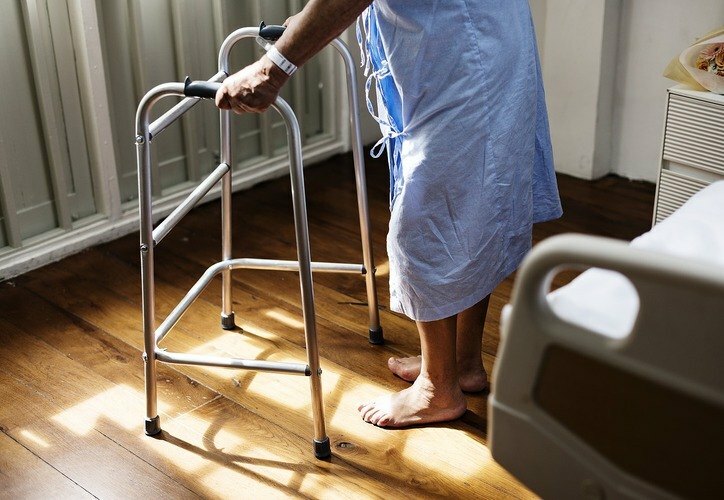 Although there are now better outcomes for people who have suffered a Stroke, some may experience minor or major disabilities as a consequence. This will depend on which part of the brain is affected and the level of damage caused. So Strokes are as individual as people and their recovery likewise. Whatever the severity, the person will need both practical and emotional support to help them regain mobility and better health. Getting the right help is also crucial, particularly if you are caring for a loved one who has had a Stroke. If you would like to talk through your options and explore how we could help you, then get in touch with your nearest Caremark office.